From its beginnings, America has acted out much of its history on the battlefront. Yet for the average American, little is known of the Spanish-American War. The reasons for our entry never seemed compelling—at times, yellow fever seemed more the enemy than did Spanish troops—and the United States was ill prepared for the venture. Nevertheless, this conflict served to unify a country that only thirty years before had been hopelessly divided by civil strife. This colorful account reveals how every aspect of American life was ultimately touched by the war. War heroes abounded in the Spanish-American war: George Dewey, Richmond Pearson Hobson, Joe Wheeler, William T. Sampson, and of course, Teddy Roosevelt and his Rough Riders. 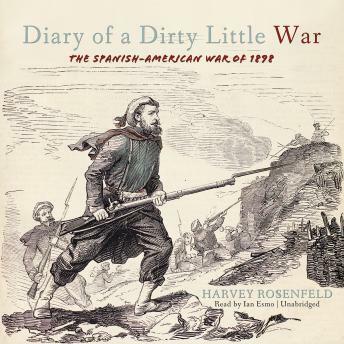 Rosenfeld strikes a balance between scholarly and popular writing, bringing to life a war that has often been overlooked.